Quilts have played a large role in America’s domestic history and are closely tied to the female experience. Women have created these objects for generations, contributing their time and expertise to the home. In contrast, paintings are understood through an art historical or museum context as objects of wonder or artifacts of history. By pairing quilt as object and paint as direct color a contrast forms between our expectations and known experiences. Gillespie’s recent body of work, Quilted Color Works, uses quilt and paint as medium to transcend the ways color, shape, pattern, and material can interact. The work is dependent on the formal elements of composition, shape, and color pairing inspired by the work of painters Ellsworth Kelly and Frank Stella. 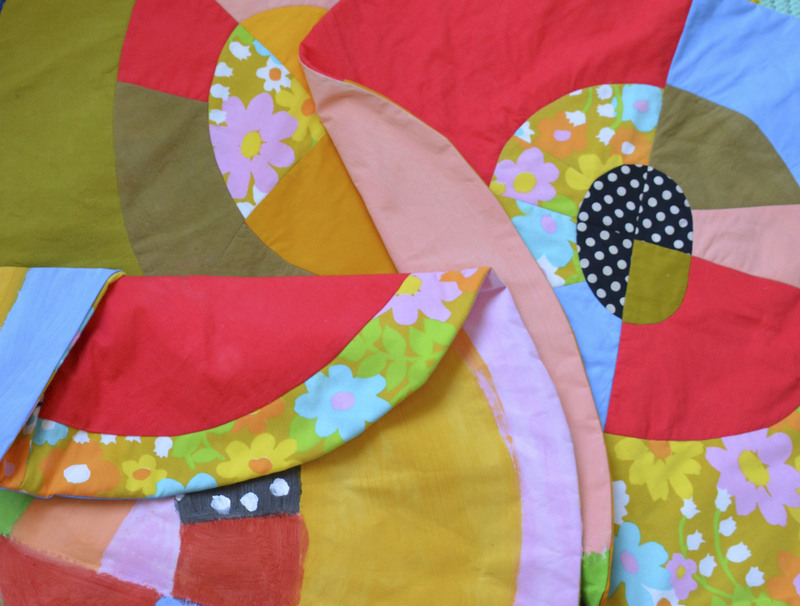 Each quilted piece playfully overlooks this historical divide through the whimsical use of shape, color, and line. Mariah Gillespie, originally from Norman, Oklahoma, is a senior at the Kansas City Art Institute pursuing her BFA in Fiber. 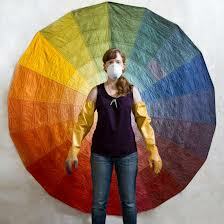 She is interested in the history of quilt making, gender constructs, modern and vintage textiles, and color theory. Originally coming to KCAI to focus on photography, she soon realized that the textiles she was photographing were more important than the photographs themselves. This lead her to transfer into the Fiber department. Gillespie’s rich Oklahoman background, flled with memories of her grandmothers, home- made textiles, and near-by farm animals nurtured an aesthetic that is intrinsic to her daily life. 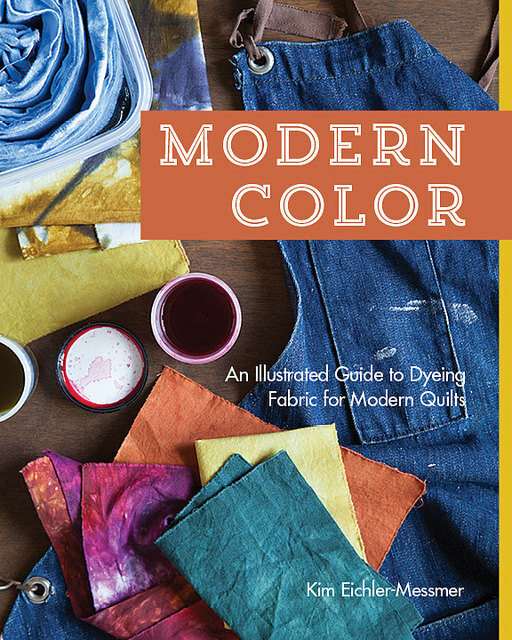 One of our lovely and talented teachers, Kim Eichler-Messmer has a book coming out on November 1st.